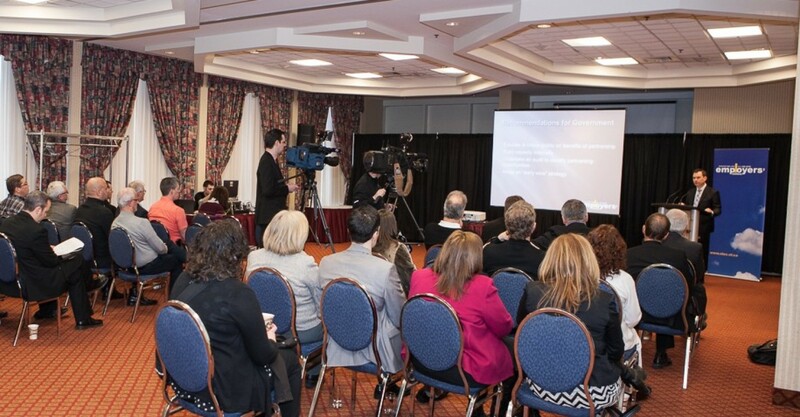 The NL Employers’ Council held a press conference yesterday to release findings of a study into the need to increase partnerships with the private and not-for-profit sectors in the delivery of government services and infrastructure. The report, Why Wait in Line? 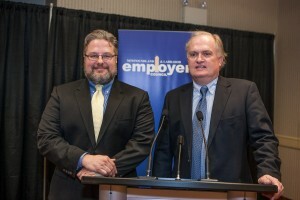 Opportunities to improve government services and infrastructure in NL was written by Memorial University Professor’s Tom Clift & Dr. Tom Cooper and commissioned by the NL Employers’ Council (NLEC). Transfer of risks such as cost overruns and delays from the taxpayer to the private partner – which means projects are more likely to be completed on time and on budget. Better value to taxpayers with costs being reduced by as much as 61%. The freeing up of government capacity and resources to focus on regulation and core government functions. Accountability to citizens improves because of the financial penalties, incentives and government oversight put in place. Partnerships drive commercial activity, including exports. The Employers’ Council also released findings of an August 2015 survey by Corporate Research Associates, commissioned by the NLEC to measure public opinion on this issue. The majority of residents in Newfoundland and Labrador support the involvement of the private sector in the delivery of public services. On each of the public services evaluated in the study, more residents support private sector involvement in the delivery of those services than those that oppose such involvement, in most cases by a considerable margin.